I’ve been in the works of trying to get more local events going in my area. We’ve only had one event that was fun, but a bit of an ad-hoc affair since the organizer didn’t show up. I thought of doing a Combat Patrol event, which is still a possibility, but with the eminent release of 7th edition it’s going to take a bit more planning. In the mean time, I decided to begin organizing a Kill Team league. This has garnered a lot of attention and interest, so I spent last night drafting the league rules, which you can read below. I’m planning on using The Heralds of Ruin Kill Team rules for the actual game play. Since The Heralds of Ruin is somewhat stand alone, I don’t think I’ll have to worry about working 7th edition into the league until necessary. The other nice thing about The Heralds of Ruin rules is that it gives players greater control and costum-ablity over their Kill Team, so we’ll be able to see teams improve and grow over the course of the league season. Any way, enough rambling here are the proposed league rules. I want to remind you that these are only proposed rules for the moment. While the group seems to have accepted them as a whole, these could change before the season begins. I will certainly try to track, post, or broadcast the season as it goes on, so definitely check back. $10 for a single Kill Team. $4-$3 for any additional Kill Teams. This means that a player can play multiple teams, but only ONE team per player can win and participate in play-offs. Possible cap of 4 teams. 2 players cannot face against each other back-to-back. Example: Shane and Josh have just finished a game. Shane and Josh cannot play each other again until they either A) they each have played another person, or B) a week has passed since their last game. New players are always welcomed and encouraged to join. To help with this, we will use the Underdog rules as explained in The Heralds of Ruin campaign rules as well as granting any player that challenges another player that is ranked AT LEAST 2 positions above them an automatic 1 VP no matter the outcome of the game. Some people may get it in their heads to camp on a position for fear of losing their rank, Game dodgers or position camping will be frowned upon. If a league participant misses more than 1 week they are subject to the lose of 2 positions of their current league standing. This is subject to the League Organizer’s discretion. As players sign up, they will be unranked until they play their first game. 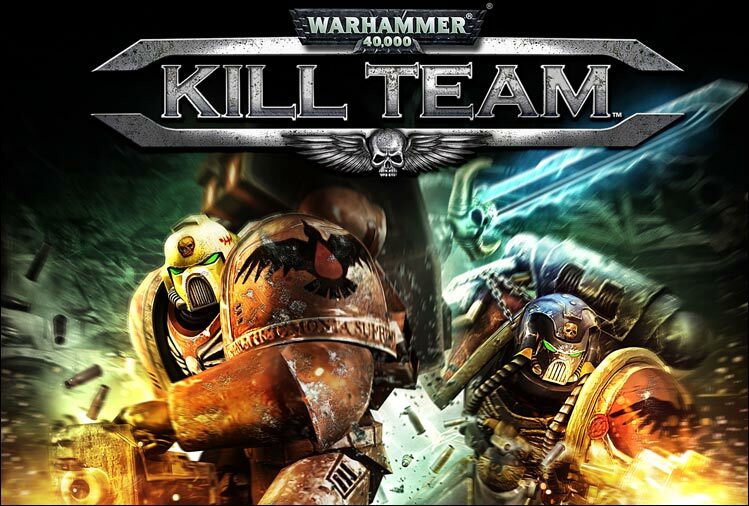 Players that participate in the “Pre-seaon” are free to change and adjust their Kill Team lists; however, once the league season officially begins, participants’ lists are “frozen”. Players cannot change their list except through the course of “leveling up” that is set down in the campaign rules. Players will be ranked after their first game. It is recommended to check standing before and after your game. “Up to the Challenge” This will be used to help facilitate new players that may with to join the league at any point as well as add challenge to top ranked players. A player that challenges another player that is AT LEAST 2 positions higher than him will automatically gain 1 VP regardless of the games out come. A player will be moved down in position if they lose to an opponent that is ranked below them. A player will move up in position the number of spots, rounded up, of the ranked person they beat. If you are unranked and beat an unranked player, you are placed above the unranked player at the bottom of the ladder. At the end of the last day of the season, the ladder will be frozen, and the positions will be used to seed the play-off bracket. Top position is guaranteed a spot on the play-off bracket. Other spots will be filled using a combination of participants’ Victory Points and Combat Efficiency. This will be a single elimination bracket to determine the winner of the season. Participating in a game: Number of Victory Points earned during the game. 0 Points – Less than 80% of your kill team is painted. 1 Point – More than 80% of you kill team is painted. 2 Points – Kill Team is themed together. Units have correct squad markings and same base style. 3 Points – Kill Team is model and painted to “Professional” standard: Scenic bases, Highlighted and shading on models, etc. *Models must be created specifically for this league and may not be previously created unique models. They most represent their Special unit or Specialist rules. Final judgment for Best Themed / Best Painted Kill Team will be put to a vote by participants and left to the discretion of the League Organizer. Love to hear back any feed back.